When Saturn was the only known ringed planet, the rings were believed to be as old as the solar system—4.6 billion years in the conventional chronology. The existence of the rings to the present day was taken as evidence of this chronology. In the 1970s and 1980s, other planets were found to have short-lived, rapidly dissipating rings with life times of the order of millennia. Subsequently, the view of the age of Saturn’s rings began to change. They are now viewed conventionally as no more than hundreds of millions of years old, and a former prop of the conventional chronology has now vanished. Furthermore, an examination of ring observations and data unconstrained by conventional chronology indicates that the actual life time of Saturn’s rings may be of the order of tens of thousands of years, and possibly less. This age fits in perfectly with the biblical Creation/Fall/Flood model, and opens up possibilities for effectively explaining their origin within a biblical framework. 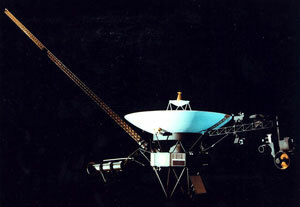 The Voyager 2 probe was launched on 20 August 1977, 16 days before the launch of Voyager 1. The Voyager missions demolished the belief that planetary rings must be old. Nevertheless, Struve failed to measure continued ring spreading,34 and	in 1895 Lewis concluded that ring observations were not in agreement (‘accordant’) because of ‘the great	difficulty in making these measures’.35 But he then dogmatically	stated that Saturn’s rings were ‘certainly’ not undergoing long-term change, even though his data showed	C-ring spreading.36 Lewis thus laid the groundwork for Jeffreys’	concept of very old rings. The history of C ring observations implies rapid ring spreading and dissipation. The inner edge of the B ring is now 91,975	km from the center of Saturn and the inner edge of the C ring is at 74,658 km.44	Thus the width of the C ring is 17,317 km, or about 15,000 km, a width which developed since about 1850. This implies an	infall of ring particles in agreement with the computation of Napier and Clube. Like Jupiter’s and Uranus’s rings, Saturn’s rings appear to be decaying in a millennial time-frame. Ring	dissipation does not require millions of years. When planetary rings were thought to be old, they were taken as evidence	for an old solar system. Intimation of their youth therefore obliterates a prop of the conventional chronology. Have new Saturnian rings formed since the C ring? Ring particles of Jupiter and Uranus also show this behavior.49,50 To sum up, particles in outer rings dissipate into space; those in innermost rings fall toward	the planet. This is false—‘lots’ of shepherds have not been found. Another false claim is that the ‘“shepherding”	effect has been found to confine a number of rings in the solar system’.67	Out of hundreds of thousands of ringlets in planetary ring systems, only a few have been found with nearby moonlets interpreted	as shepherds. 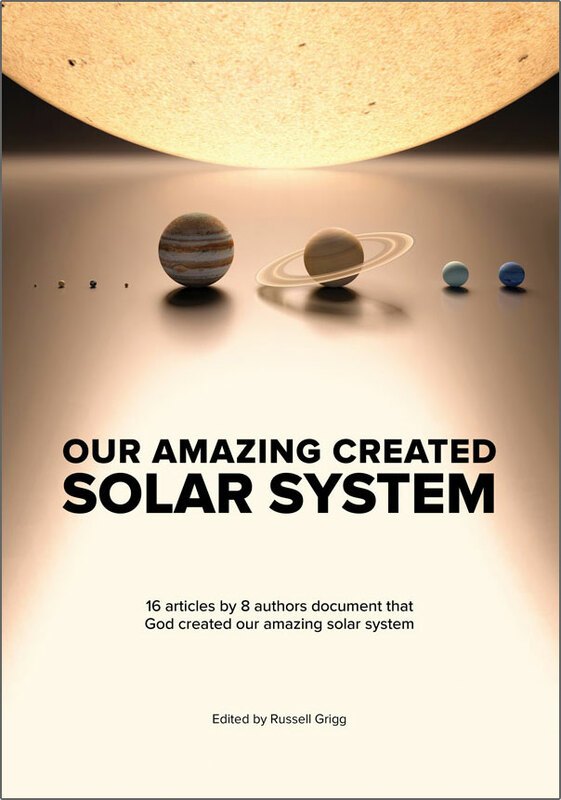 Most notable are the F ring of Saturn, Jupiter’s ring system, and Uranus’s thick ring. As mentioned	above, the last two are now viewed primarily as rapidly decaying, despite putative shepherding effects. Where are the shepherd moons? During the 1995 Saturn ring plane crossing, the Hubble Space Telescope looked for new satellites. Two were announced as new	in a press release and were designated 1995S1 and 1995S2.70 They turned	out to be the already-known moons Atlas and Prometheus. Even more interesting, five other bodies, 1993S3 to S7, were observed,	but were later ‘hypothesized to be shattered moonlets’ in the F ring.71	The obvious conclusion is that bodies perceived as ‘shepherd’ moons of Saturn are undergoing disintegration	within the ring structure. Showalter surmised that Saturn’s narrow G ring, thought to be composed of very fine dust, may in fact be the ‘decaying	corpse’ of a moon destroyed by meteoroid impact.73 Since the F	ring is a ‘dynamic transition zone’ where satellite fragmentation is likely to occur, what is the possibility	that the so-called ‘shepherds’, Prometheus and Pandora, could be undergoing the same type of dissolution? A stunning observation answered this question. The reason the previously mentioned satellite 1995S2 was not initially recognized	as Prometheus is that its location did not match the position expected. Prometheus had ‘slipped in its orbit by 20	degrees from the predicted position … a consequence of a “collision” of Prometheus with the F ring, which	is believed to have occurred in early 1993.’72 Thus Prometheus is not so much	‘shepherding’ the F ring as mutually interacting with it, sometimes colliding with it and likely disintegrating	as a result. Longevity estimates for Saturn’s rings have undergone steady downward revision since the 1970s. The resonance theory	was invoked to prevent such downward revision, but failed to counter indications that planetary rings are much younger than	the conventional age of the solar system. The shepherd moon theory continues to be employed to minimize the downward revision. Despite widespread belief that shepherd moons such as Prometheus and Pandora have preserved Saturn’s rings for possibly	hundreds of millions of years, the putative shepherd moons appear to be pulverized and dissipating along with the ring structure. Northrup, T. and Connerney, J., A micrometeorite erosion model and the age of Saturn’s rings, Icarus 70:124–137, 1987; p. 124. Return to text. Pollack, J. and Cuzzi, J., Rings in the solar system, Scientific American 245(5):104–129, 1981; pp. 117, 125–126, 127, 129. Return to text. Soderblom, L. and Johnson, T., The moons of Saturn, Scientific American 244(1):101–116, 1982; p. 101. Return to text. Pasachoff, J., Contemporary Astronomy Saunders, Philadelphia, p. 429, 1985. Return to text. Jeffreys, H., On certain possible distributions of meteoric bodies in the solar system, M.N.R.A.S. 77:84–92, 1916; p. 84. Return to text. Jeffreys, H., Transparency of Saturn’s rings, J. British Astronomical Association 30:294–295, 1920; p. 295. Return to text. Alexander, A., The Planet Saturn, Faber and Faber, London, p. 320, 1962, reprinted, Dover, New York, 1980.Return to text. Kerr, R., Making better planetary rings, Science 229:1376–1377, 1985; p. 1377. Return to text. Burns, J., Hamilton, D. and Showalter, M., Bejeweled worlds, Scientific American 286(2):64–73, 2002; p. 73. Return to text. Hartmann, W., Astronomy, Wadsworth, Belmont, CA, p. 253, 1991. Return to text. Dikarev, V., Dynamics of particles in Saturn’s E ring: effects of charge variations and the plasma drag force, Astronomy and Astrophysics 346:1011–1019, 1999; p. 1011. Return to text. Hartmann, ref. 10, pp. 252–253. Return to text. Brush, S., Everett, C. and Garber, E., Maxwell on Saturn’s Rings, MIT, Cambridge, MA, p. 7, 1983. Return to text. Fix, J., Astronomy, WCB/McGraw-Hill, Boston, pp. 270, 275, 1999. Return to text. Pollack and Cuzzi, ref. 2, p. 129. Return to text. Fix, ref. 14, p. 274. Return to text. Eberhart, J., Saturn’s ‘ring rain’, Science News 130(6):84, 1986. Return to text. Fix, ref. 14, pp. 289–290. Return to text. Esposito, L., The changing shape of planetary rings, Astronomy 15(9):6–17, 1987; p. 15.Return to text. Snow, T., Essentials of the Dynamic Universe, West, St. Paul, p. 157, 1984. Return to text. Williams, D., Asteroid fact sheet, <nssdc.gsfc.nasa.gov/planetary/factsheet/asteroidfact.html>, 31 January 2006.Return to text. Goldsmith, D., The Evolving Universe, Benjamin Cummings, Menlo Park, CA, p. 461, 1985. Return to text. Williams, D., Jovian satellite fact sheet, <nssdc.gsfc.nasa.gov/planetary/factsheet/joviansatfact.html>, 31 January 2006. Return to text. Alexander, ref. 7, pp. 84–441. Return to text. Corliss, W. (Ed. ), Mysterious Universe, Sourcebook Project, Glenn Arm, MD, pp. 466–471, 1979. Return to text. Alexander, ref. 7, p. 184. Return to text. 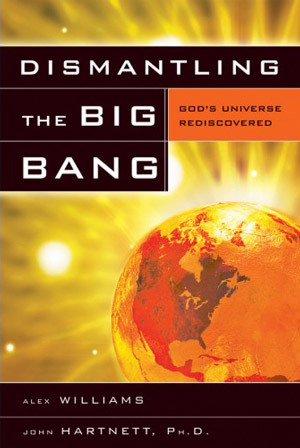 Slusher, H., Age of the Cosmos, Institute for Creation Research, El Cajon, CA, p. 71, 1980. Return to text. Struve, O., Planets with rings, Sky and Telescope 20(1):20–23, 1960; p. 21. Return to text. Brush et al., ref. 13, p. 5. Return to text. Taylor, W., Rings of Saturn, Science 2:660, 1883. Return to text. Brush et al., ref. 13, p. 24. Simon Newcomb, one of the most prominent astronomers of the 1800s, also considered Struve’s assessment to be reliable, posing the question whether Struve could have been in error because of ‘the imperfection of his telescope’. Newcomb answered, ‘No; because the effect of the imperfection would have been directly the opposite. The old telescopes all represented planets and other bright objects as too large, and therefore would show dark spaces too small, owing to the irradiation produced by their imperfect glasses. A strong confirmation of Struve’s view is found in the old pictures [made] by those observers who could not clearly make out the ring. In nearly all cases the dark spaces were more conspicuous than the edges of the ring.’ See Newcomb, S., Popular Astronomy, Harper and Brothers, New York, pp. 356–357, 1896. Return to text. Alexander, ref. 7, p. 187. Return to text. Maxwell, J., On the Stability of the Motion of Saturn’s Rings, Macmillan, London, 1859; in: Niven, W. (Ed. ), The Scientific Papers of James Clerk Maxwell, Cambridge University, London, 2:289–374, 1890, reprinted 1965, Dover, New York; pp. 353, 373–374. Return to text. Struve, O., Neue Messungen an den Saturnsringen, Astronomische Nachrichten 105:17–20, 1883.Return to text. Lewis, T., The dimensions of Saturn’s ring, Observatory 18:379–385, 1895; p. 385.Return to text. Lewis, T., Measures of Saturn’s rings, Observatory 19:202–203, 1896 p. 203. Return to text. Horn, L., Showalter, M. and Russell, C., Detection and behavior of Pan wakes in Saturn’s A ring, Icarus 124:663–676, 1996; p. 663. Return to text. Snow, ref. 20, p. 156. Return to text. Dupuis, N., The Elements of Astronomy, Uglow and Co., pp. 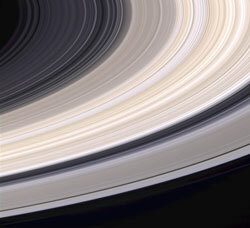 166–167, 1910; as reported in: Armstrong, H., Possible evidence that Saturn’s rings are young, CRSQ, 13(2):120, 1976. Likewise, Thomas W. Webb asked, ‘How could [the C ring] have escaped detection for so long, while far minuter details were commonly seen, is a mystery indeed.’ See Webb, T., Celestial Objects for Common Telescopes; cited in: Dobbins, T. and Sheehan, W., Saturn’s enigmatic crepe ring, Sky and Telescope 96(3):116–121, 1998; p. 118. Dobbins and Sheehan speculate that the C ring existed but was unobserved for decades prior to its discovery because of color variability, but they also acknowledge that color perception in planetary viewing is ‘notoriously subjective’ (p. 119), rendering their speculative rationale for C ring invisibility less than robust. Return to text. Baker, R., Astronomy, Van Nostrand, New York, p. 222, 1950. Return to text. King, H., The History of the Telescope, Griffin, London, p. 133, 1955, reprinted 1979, Dover, New York. Return to text. Fix, ref. 14, p. 270. Return to text. Napier, W. and Clube, V., A theory of terrestrial catastrophism, Nature 282:455–459, 1979; p. 457. Return to text. Williams, D., Saturnian rings fact sheet, <nssdc.gsfc.nasa.gov/planetary/factsheet/satringfact.html>, 31 January 2006.Return to text. Baum, R., On the observation of the reported dusky ring outside the bright rings of the planet Saturn, J. British Astronomical Association 64:192–196, 1954; p. 194. Return to text. Feibelman, W., Concerning the ‘D’ ring of Saturn, Nature 214:793–794, 1967; p. 793. Return to text. Jeffreys, H., The effects of collisions on Saturn’s rings, M.N.R.A.S. 107:263–267, 1947; p. 267. Return to text. Alexander, ref. 7, pp. 196–197, 235. Return to text. Hartmann, ref. 10, p. 243Return to text. Fix, ref. 14, p. 289. Return to text. Tippets, M., Voyager scientists on dilemma’s horns, CRSQ 16(3):185, 1979. Return to text. Alfven, H., On the structure of the Saturnian rings, Icarus 8:75–81, 1968; pp. 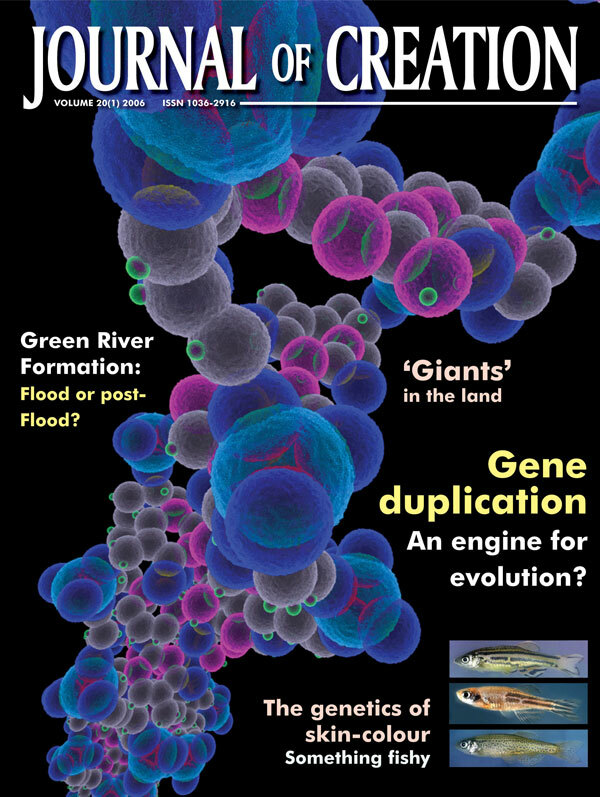 75, 76–77.Return to text. Pasachoff, ref. 4, p. 430. Return to text. Elliot, J. and Kerr, R., Rings: Discoveries from Galileo to Voyager, MIT, Cambridge, MA, p. 137, 1984. Return to text. Thompson, W., Catastrophic origins for the asteroids and the rings of Saturn, CRSQ 13(2):84, 1976.Return to text. Alfven, ref. 52, p. 77. Return to text. Trulsen, J., On the rings of Saturn, Astrophysics and Space Science 17:330–337, 1972; pp. 333, 335, 336. Return to text. Hartmann, ref. 10, pp. 250–251, 263. Return to text. Pasachoff, ref. 4, p. 441. Return to text. Eberhart, J., Voyager 2’s Uranus: ‘totally different’, Science News 129(5):72–73, 1986; p. 73. Return to text. Cuzzi, J., Ringed planets—still mysterious II, Sky & Telescope 69(1):19–23, 1985; p. 22. Return to text. Fix, ref. 14, p. 275. Return to text. Podolak, M., Hubbard, W. and Pollack, J., Gaseous accretion and the formation of giant planets; in: Levy, E. and Lunine, J. (Eds. 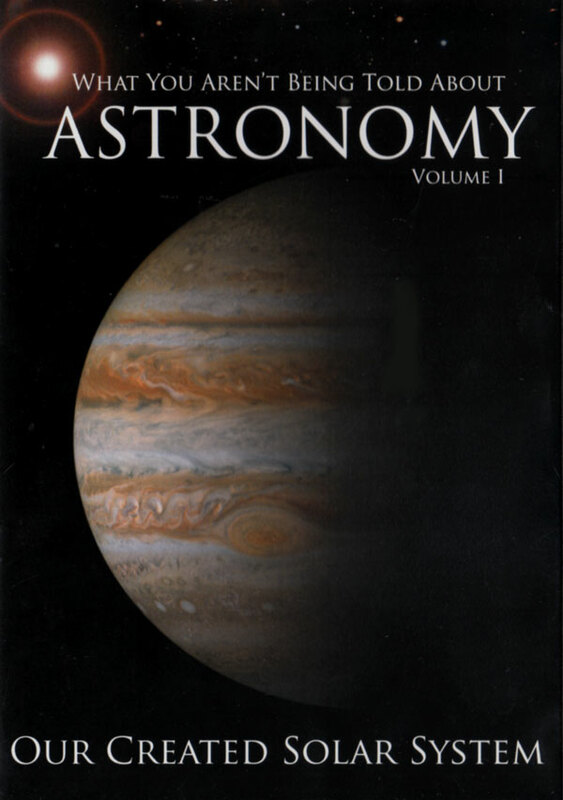 ), Protostars and Planets III, University of Arizona, Tucson, pp. 1109–1148, 1993; p. 1120. Return to text. Sobel, D., Secrets of the rings, Discover 15(4):86–91, 1994; p. 88. Return to text. Burns et al., ref. 9, p. 70. Return to text. Masetti, N. and Mukai, K., What keeps planetary rings in place? <imagine.gsfc.nasa.gov/docs/ask_astro/answers/981027a.html>, 13 January 2006. Return to text. Planetary rings node glossary, <pds-rings.seti.org/glossary.html >, 31 January 2006. Return to text. Rubin, A., Exploring Saturn’s rings, Astronomy 30(12):49–53, 2002; p. 53. Return to text. Fix, ref. 14, pp. 270, 289. Return to text. Hubble discovers new moons orbiting around Saturn, <hubblesite.org/newscenter/newsdesk/archive/releases/1995/29/>, 31 January 2006. Return to text. Williams, D., Saturn ring plane crossing, <nssdc.gsfc.nasa.gov/planetary/satmoons_pr.html>, 31 January, 2006.Return to text. Isbell, D. and Villard, R., Saturn moon mystery continues: could Hubble have discovered shattered satellites? <nssdc.gsfc.nasa.gov/planetary/text/satrpx1095.txt>, 31 January 2006. Return to text. Showalter, M., A survey of the narrow planetary rings, Eos 73 (supplement):177, 1992; <pds-rings.seti.org/showalter/abstracts/1992_montreal.html>.Return to text. Pollack and Cuzzi, ref. 2, p. 119. Return to text. Williams, D., Saturnian satellite fact sheet, <nssdc.gsfc.nasa.gov/planetary/factsheet/saturniansatfact.html>, 8 November 1999. Return to text. JPL, Chaos seen in movement of ring-herding moons of Saturn, Science Daily <www.sciencedaily.com/releases/2002/10/021014072923.htm>, 31 January 2006. Nonetheless, Prometheus and Pandora continue to be invoked sometimes as ring shepherds. 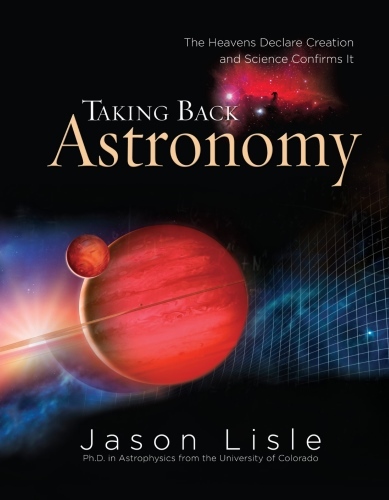 See Tytell, D., NASA’s ringmaster, Sky and Telescope 108(5):38–42, 2004; p. 42. Return to text. Tytell, D., Cassini at Saturn: an early report, Sky and Telescope 108(4):14–15, 2004; p. 15. Return to text. Beatty, J., Rings of revelation, Sky and Telescope 92(2):30–33, 1996; p. 33. Return to text. Cuzzi, J. and Estrada, P., Compositional evolution of Saturn’s rings due to meteoroid bombardment, Icarus 132:1–35, 1998; p. 1. Return to text. Talcott, R., Cassini reaches Saturn, Astronomy 32(10):38–43, 2004; p. 41. Return to text. Snelling, A., Saturn’s rings: short-lived and young, Journal of Creation 11(1):1, 1997. Return to text.